My pickling operation grows little by little every year and I can't do it without you. 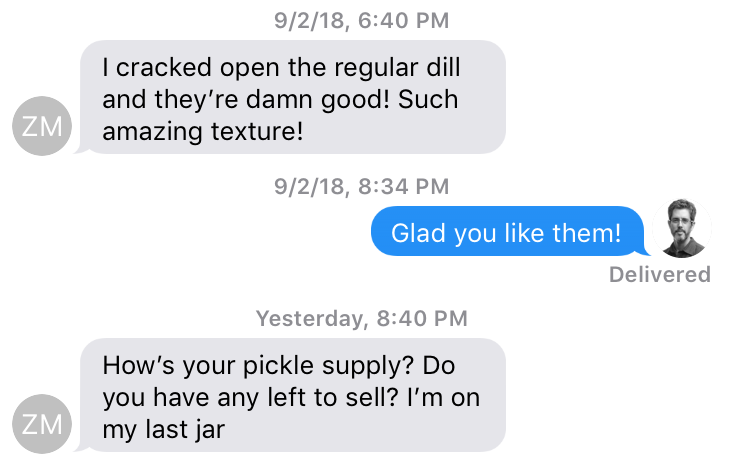 Did you miss your opportunity to order a jar of my Boyhowdy Pickles? Please submit your email below to get your name on the waiting list for 2019. First come, first pickled. Pickling cucumbers are in season from August through September each year. 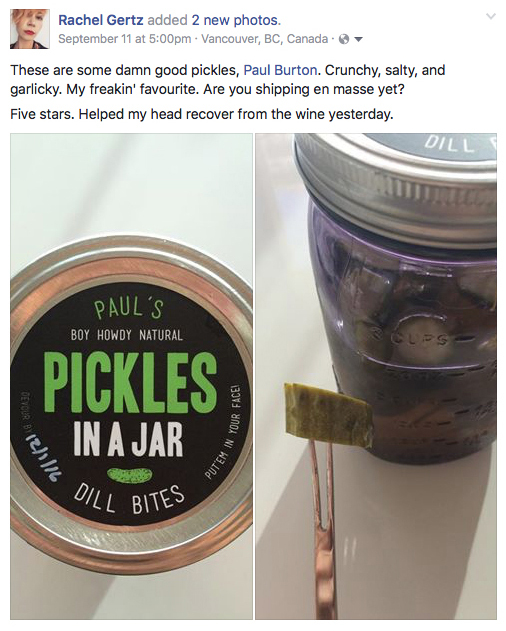 How good are my Boyhowdy Pickles?